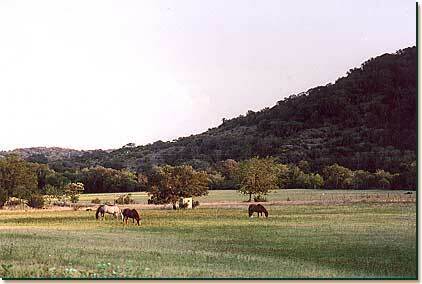 Horseback Riding Vacation in the Texas Hill Country! Located 9 and 1/2 miles southwest of Bandera, Texas, Hill Country Equestrian Lodge offers the ultimate horseback riding vacation or nature vacation. 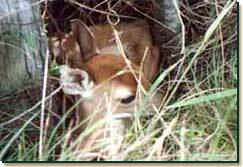 Its location adjacent to 5500 acre Hill Country State Natural Area makes it a natural for horseback riding, cycling, hiking, and nature activities of all kinds. Guests may enter the park through the ranch's private entrance, just steps from their accommodations, and enjoy its 40 miles of well-marked trails. 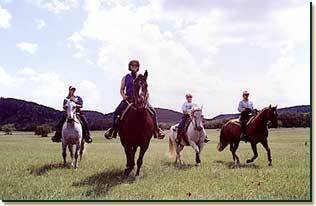 The Lodge's excellent horseback riding program makes equestrian activities a favorite passtime. (See links at bottom of page.) Guests may take lessons, clinics, or private guided rides on the lodge's well-trained horses, or bring their own horses and ride at will through the hills, canyons, and streams of the ranch and the adjoining state park. For your hours out-of-the-saddle, hiking, biking, birding, and wildlife watching are great ways to pass the time. 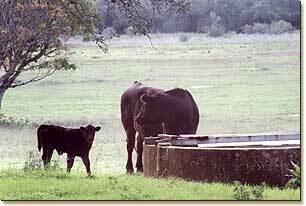 Feel free to hunt fossils on the ranch, or fish in its stocked watering hole. Golf is available nearby, as is swimming, tubing, and kayaking in the spring-fed waters of the Medina River. 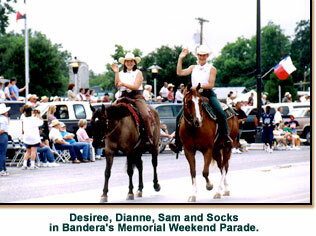 The legendary town of Bandera, which marked the beginning of the Great Western Cattle Trail in the mid-1800's, offers a historical driving tour, shopping, dining, and Western-style night life. Colorful weekly rodeos take place from Memorial Weekend through Labor Day. The historic towns of Comfort and Fredericksburg offer a glimpse into German Pioneer Culture and History, and ample antiqueing within an hour's drive. San Antonio, with its famous 18th and 19th century Spanish Missions, River Walk, the Alamo, Sea World, and Fiesta Texas are also about an hour away. 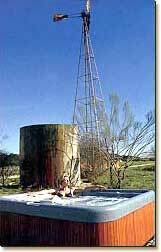 When you're ready to take it easy, slip off to the Cowboy Cool Pool, or the Jacuzzi Under the Stars, or schedule yourself a massage, facial, or other spa service in the privacy of your accommodation. Or simply sit and watch the horses graze from the porch of your very own cabin or suite, read by your fireplace, or count the stars as you sit by a glowing campfire.